In the spirit of holiday giving, “Clients Who Care” is a blog series that recognizes some of the recent acts of kindness and caring demonstrated by Clairemont clients. We hope these stories inspire you to be charitable this holiday season and throughout 2015. Happy Holidays! Having worked closely with PDQ throughout 2014, we know that it is a company that gives back to its communities on a regular basis, not just during the holidays. Charitable giving, school and community sponsorships and helping neighbors is part of PDQ’s culture. It has been an honor to assist in many community initiatives here in the Triangle for this Tampa-based, growing restaurant brand that’s actively engaged everywhere it has locations. Last Friday, PDQ got involved in local toy drives in more than one location. 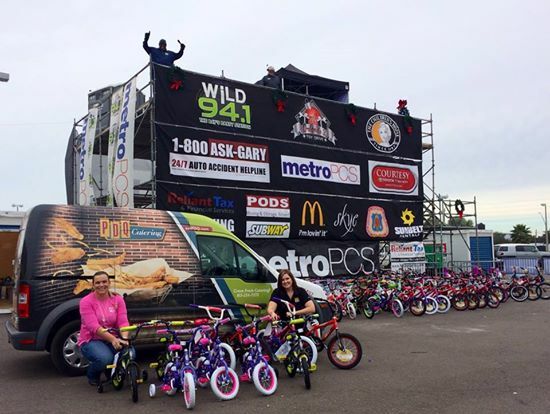 PDQ Durham helped Sean Maroney and WNCN #stockthesled, while PDQs in Tampa participated in WILD 94.1‘s toy drive and PDQ St. Petersburg 102.5 The Bone. In each case, PDQ asked the radio stations, “What do you need?” In Durham, the answer was to meet the goal of 1,000 toys as the end of the drive was quickly approaching. 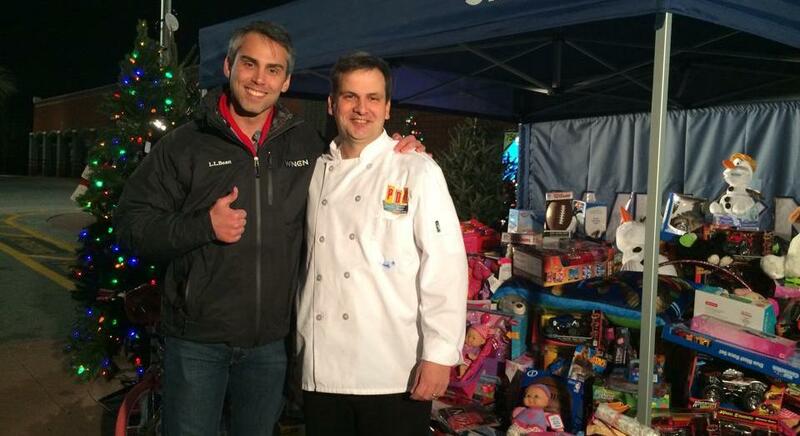 PDQ team members and their families went shopping at 9 p.m. and helped WNCN exceed its goal! Similarly, Orlando from WILD 94.1 said they needed bikes. PDQ delivered bikes! 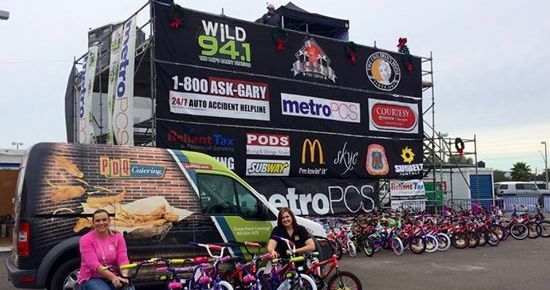 In St. Pete, 102.5 needed toys and food for its volunteers. PDQ delivered its famous hand-breaded chicken tenders for everyone onsite and donated $500 in toys. We admire our clients at PDQ for their dedication to helping good causes and for their ability to move quickly when community organizations have immediate needs. Our holiday hats are off to you, PDQ!